RecruitingDash will help you win with Taleo Business Edition. generate 25%-50% more applicants.modernize your TBE Applicant Tracking System.update and enable all the new features. make your career website mobile friendly. improve your recruiting technology. In the world of recruiting, we know that speed matters. Therefore, we work fast to solve your problems and deliver practical, real world solutions that just plain work. We know you'll love the support you get from RecruitingDash. But if you don't, cancel anytime. There is no long term commitment. YES! [we would recommend Taleo Support and Maintenance] Working with the RecruitingDash team has not only been a breeze but has been fun as well! I appreciate any opportunity to insert humor and laughter into my day. The support has been very helpful. We are always able to get a quick response and everyone is knowledgeable. Utilizing this service allowed us to optimize our application, produce reports that provide more visibility to our hiring managers, allowing them to have better conversations with the recruiters and provided us with the ability to quickly resolve any issues we encounter with Taleo by getting an immediate response. I would highly recommend RecruitingDash and Taleo Support & Maintenance. Taleo Support responds very quickly to questions or modifications we have requested and also gave good instructions on how we could execute the modification or resolve the concern ourselves if it occurred again. We would absolutely recommend RecruitingDash Taleo Support & Maintenance – they are extremely knowledgeable about the Taleo product. They are truly “experts” when it comes to Taleo. I often found myself frustrated when working with other sevice and maintenance providers as I typically knew more about the product than the technician that was assigned to my support ticket. I have never experienced this frustration with RecruitingDash. If my technician didn't know the answer right off (which rarely happened) I always received a prompt follow up with the answer or best practice suggestion. Jason has been chronicled in the New York Times and featured in the National Best Selling book Mavericks at Work. 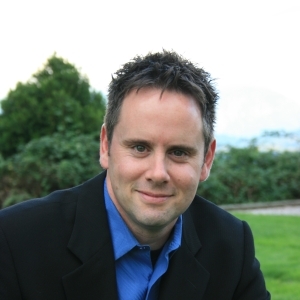 He is a frequent writer for, and keynote speaker at leading Human Resources and Recruiting Industry Conferences such as ER Expo, The Recruiting Conference, Oracle Human Capital Users Group (OHUG), and Oracle's own HCM World as well as HCM and Taleo Webcasts. How does TBE Support work, exactly? It's simple. You provide RecruitingDash with a user login to your TBE system. Then, whenever you have a Taleo question, reconfiguration, a need to train someone on TBE, or simply need help, you simply contact our dedicated support team who will guide you through a timely solution or industry best practice, up to 3 hours a month. Why do I get only 3 hours of support per month? We offer support packages starting at 3 hours a month because that seems to be the right amount of support for most of our customers. With Taleo Business Edition, most customers don't need a full time, dedicated support person, but they do need help every month to answer questions, make small changes, train new staff, and keep the system running smoothly. And all of our support team are experts in TBE… they work fast, and know all the best practices. It's a very efficient model. What if I need more than 3 hours? Do the hours “roll over"? If you need more time per month, it's no problem, we are here to help. We don't have “roll over” hours because it helps keep our costs and administration low. Give us a try - you will fall in love our TBE support services! You don't! And won't! Ever. We promise! We do TBE support the old fashioned way - with dedicated TBE experts on call, email or via chat (chat coming soon) to respond to any of your needs. All RecruitingDash TBE experts are located here in the United States and we pride ourselves on providing the best service anywhere. We have been in your shoes! So we know that you when you have an issue, you just need it fixed fast! There are no tickets to file. No on-hold music. No red tape. Just answers, and plain old fashioned customer service, the way it ought to be. Why do so many TBE users love TBE Support & Maintenance from RecruitingDash? We hear it all the time: because it just works. In talent acquisition, you need results fast, and we deliver. Give us a try to find out! There's no risk, and no ongoing commitment. If you don't love our support, cancel anytime.